Rockford Christian Schools is embarking on a one year campaign, "Building Champions for Life," that includes the installation of a brand new turf field. We are excited about this plan to make our Football/Soccer Stadium a innovative, safer, more playable surface for competition and practice. Considering the campus expansion and the land that was secured for a future elementary school, this field surface will allow more flexibility and will allow us to have more overall field space for all grade levels. 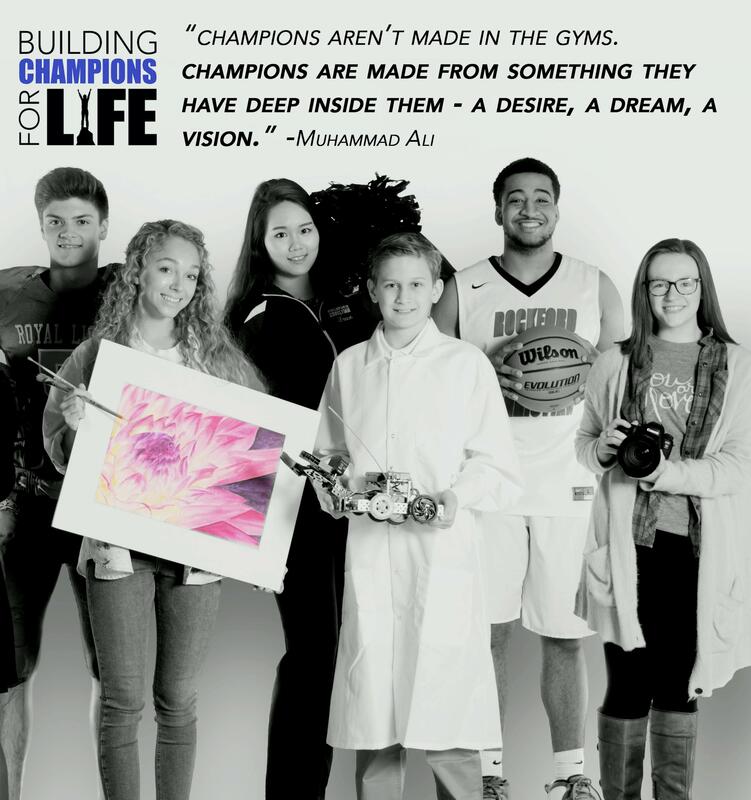 The Building Champions for Life campaign is intended to highlight what we strive to do everyday at Rockford Christian. We build up students by providing strong spiritual guidance through biblical principals, academic excellence, athletic experiences, and leadership opportunities throughout the student experience. The Building Champions for Life campaign has a $1,100,000.00 goal and all of this year’s fundraising is a part of this exciting campaign. We would appreciate your help in spreading the word, your support, and your prayerful consideration of this exciting endeavor. Below is the presentation about the program in more detail. Please let us know if you have any questions or suggestions, and we look forward to continuing to the Rockford Christian family continuing to Build Champions for Life.